The health of your children depends on several factors, and feeding, along with the practice of physical activity, is one of the most important. Do your children eat in a varied and balanced way? Take note of these 10 tips and make sure they are fed in a healthy way. Eating accompanied by family or friends: this is a healthy way to enjoy food that allows generating a family feeling of connection, reduces the risk of suffering from obesity and other eating disorders and is a healthy habit that if applied from small They will be incorporated throughout their entire life. When you eat as a family, it is recommended that everyone eat the same. With your friends, it will be fun to see what they eat, which recipes they prefer and to share pleasant moments with their classmates. Breakfast good: breakfast is one of the most important meals of the day, as children get the energy they need to perform all the activities of their routine. In fact, you have to contribute 25% of the calories that are required daily. It is recommended that breakfast consists of a portion of carbohydrates, (for example toast or cereal), a fruit and a dairy, such as yogurt or a glass of milk. Follow a balanced diet: children need to consume a variety of different nutrients to have iron health. 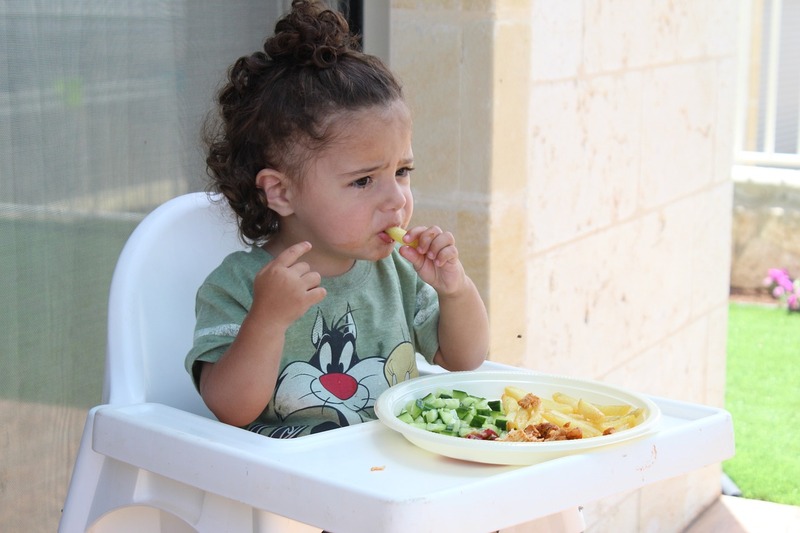 Given that there is no food that contains them all, it is important that your children follow a balanced diet to obtain all the necessary nutrients (lipids, proteins, sugars, vitamins, and minerals). Eat carbohydrates: About half of the calories that make up your children's diet should come from carbohydrates such as cereals, pasta, rice, potatoes or bread. It is recommended that these be present in the children's meals in a varied way. It is also recommended that you give pasta, cereal, and cereal bread, for its extra contribution of fiber. Eat 5 pieces of fruit and vegetables a day: fruits and vegetables are very important foods for children, for the vitamins, minerals, and fiber they contain. That's why you should try to take 5 pieces of fruit and vegetables a day. For example, you can take a natural fruit juice at breakfast, an apple or banana in the middle of the morning and two types of vegetables (one in the meal and another at dinner). Do not consume too much fat: it is not healthy for your children to eat many chips, sausages, empanadas, pies, etc. Although fat must be part of your diet, it is better than the levels of it are not too high. There are unsaturated fats (present in fish such as tuna and salmon) and saturates (present in foods such as meat and cheese), which should represent less than 10% of the total calories that children receive. Reduce snacks: if your children eat regularly during the day try to give them some healthy snacks such as yogurt, fresh or dried fruit, caramel or celery peanuts, unsalted peanuts, bread with cheese, etc. Drink frequently: children need at least 5 glasses of water a day, especially when it is very hot and perform some kind of physical activity. In addition to water, they can also take tea or milk, for example. Caring for teeth: children should wash their teeth, at least twice a day with toothpaste and toothpaste with fluoride. In addition, it is important that you do not consume too many sweets or treats since they are not healthy for your teeth. Exercise often: children need to do activities to have a healthy heart and strong bones. They try to do some exercise every day, either by practicing a sport or going to school on foot or by bike, climbing and stairs, swimming, etc. If your children internalize and follow these 10 tips, they will be more likely to be applied when they are teenagers and adults. In this way, today's health will also be a guarantee of your health in the future. Your role in teaching you how to live and act healthy is key.